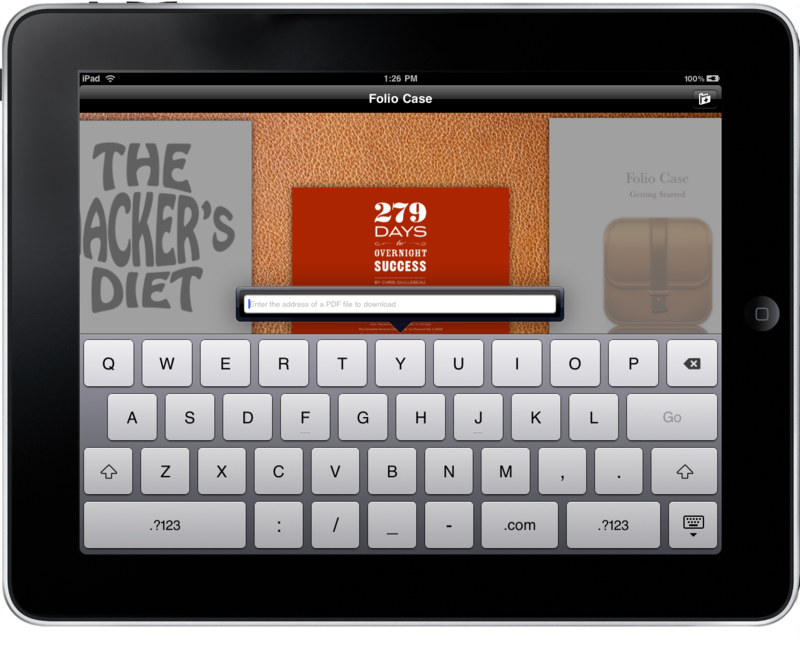 Folio Case for iPad, A Beautiful PDF Reader. Review and Giveaway! 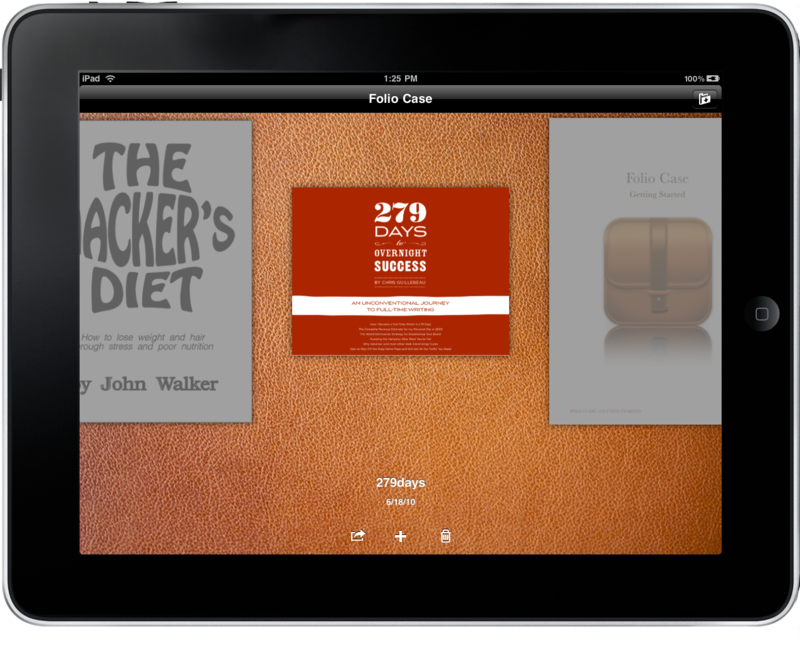 Folio Case received a ton of buzz yesterday as it launched on the iTunes App Store, garnering the attention of thousands of iPad owners looking to download the perfect PDF reader. While the timing is unfortunate as an updated iBooks will offer native PDF viewing in iOS 4, Folio Case should be fairly acclaimed as the iPad's most elegant solution for displaying PDF files yet. It doesn't offer functionality pursued by power users such as highlighting, searching, or even bookmarking, but it does present a minimal reading experience, characterized by the page metaphor. The selling point of Folio Case isn't what it can do, but rather how it displays your PDF files. Again, Folio Case is a very nice PDF reader which allows you to quickly scroll through pages via a slider and turn through the PDF pages. This is all reminiscent of iBooks, and I'm impressed with the amount of restraint the developer exhibits in the application -- instead of including every feature under the sun, the focus is simply on an enjoyable reading experience. My favorite feature of Folio Case is the ability to import PDF files via URL. If you come across a PDF file in Safari, simply copy the URL and paste it in Folio Case -- it's another feature implemented with the utmost simplicity. Listing your documents similarly to Pages, you can import and export files via email or iTunes. A solid PDF reader that's available for $5.99 in the iTunes App Store, the price tag is well worth it if you're looking for a confident PDF reader that's oozing with beautiful pixels. As part of all the launch excitement, we're teaming up with developer Alexander Repty to give away three copies of Folio Case if you follow our contest rules below. - Tweet the following message on Twitter: "Win one of three copies of @foliocase on @macstoriesnet! http://mcstr.net/aGKnWF"
- Below, leave a link to your tweet and a quick comment about why you'd like to use Folio Case! Winners will be selected on Sunday, June 20th. Good luck!